[NOTE] Headphones listening required for high quality listening experience. JINMO's guitar orchestration has back! As its title and cover design suggest, this album "Binaural Guitars" is composed of binaural beat orchestration similar to "Jubilus" series. Your brain perceive unique effect with combination tones which is generated by quite different signals individually from left and right channel. Although innumerable sharp needles from ultrasound bandwidth stimulate the brain, the brain simultaneously drifts in the gentle stream of universe. Roaring and silence, peace and violence, arousal and trance, you will undergo simultaneous contradictions. 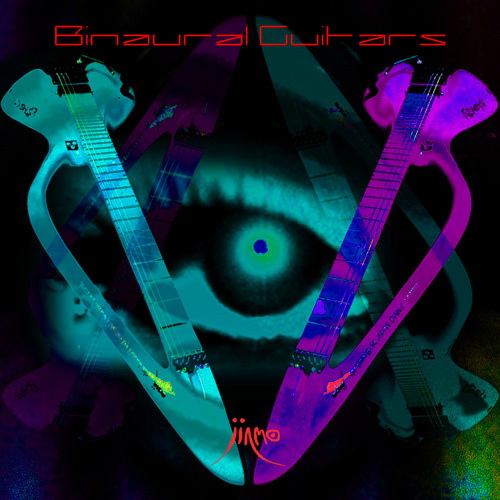 "Bainaural Guitar", you will be engulfed by strange sensation.